"Old World Charm" is brought to life in this English Garden design of soft muted tones of Hydrangea, Spray Roses, Stock, Star of Bethlehem and Protea. Bring the garden indoors with this stunning piece! 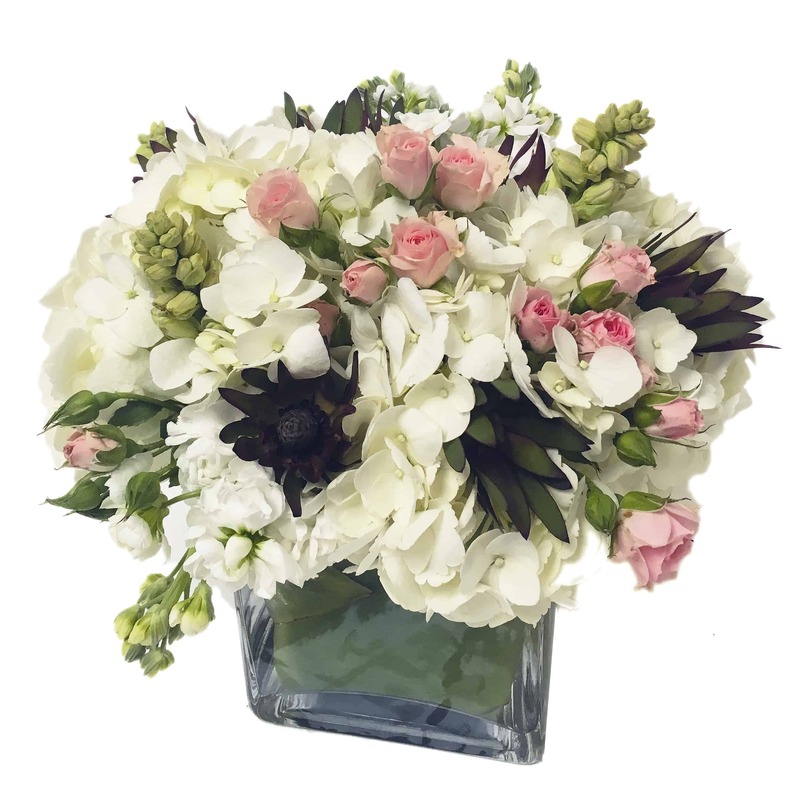 Perfect for tea time or anytime as this beautiful arrangement of flowers is sure to bring cheer wherever it goes!